Right, we are we not seeing large gains over the reference card. Why not? It transpires that the card, in its out of the box state, hits a maximum 1,530MHz and stays there. 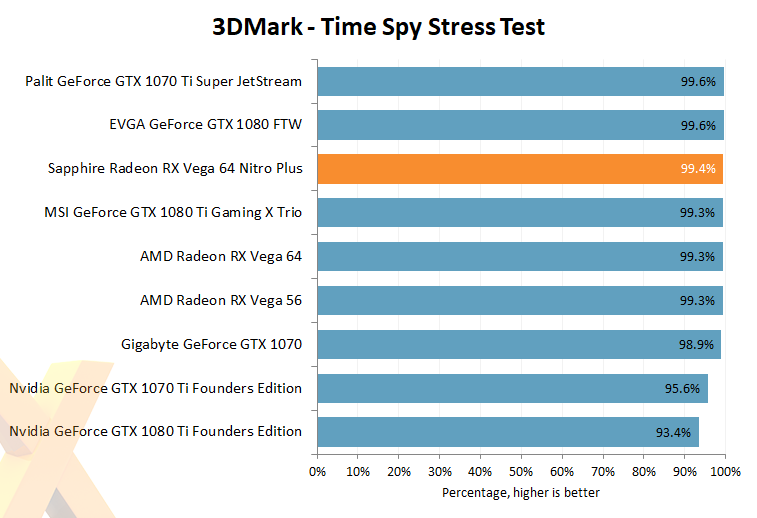 It never reaches a higher DPM state that would enable 1,611MHz, or 1,630MHz as stated by GPU-Z. 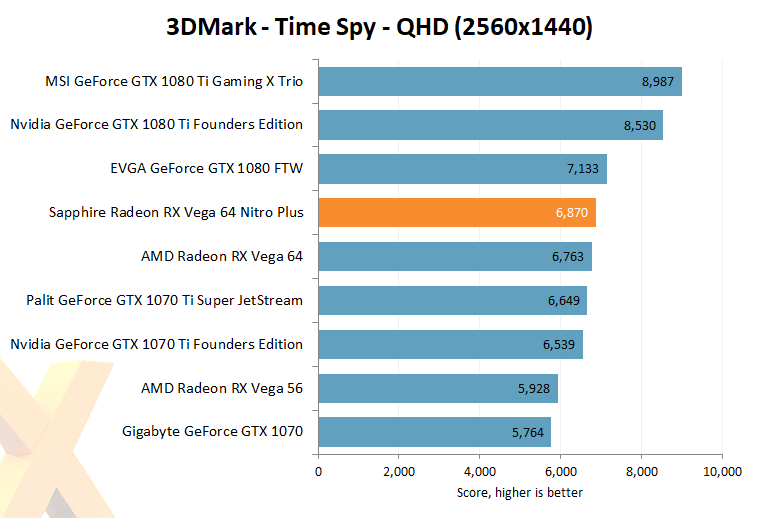 The latest drivers also allow the reference card to hit these speeds, thus explaining the lack of performance difference. 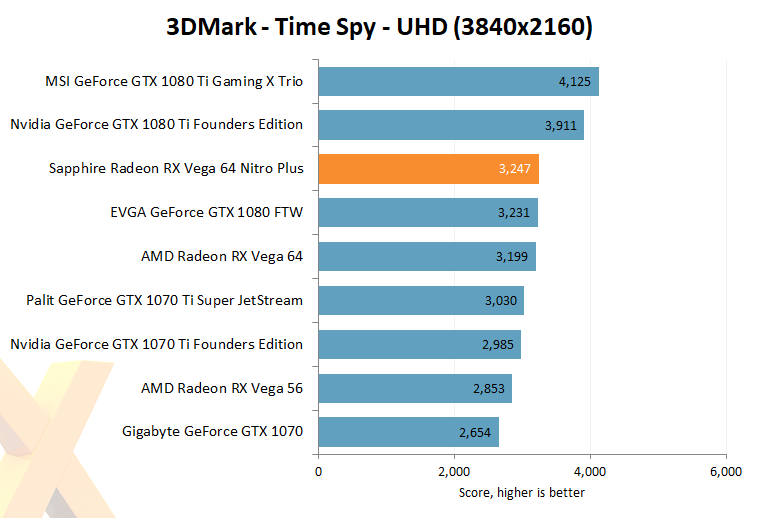 Looking at the wider landscape, AMD's best is still some way off the GeForce GTX 1080 Ti. We also ran the card in the second, more power-efficient Bios position and found that it scored 6,732 and 3,187 for the two tests, respectively. The massive cooler, however, enables excellent run-to-run stability.